Self-fulfilling prophecies are often crucial to the birth of a people. This is certainly true of the blessings that Yaakov gives his sons in this week’s parasha. 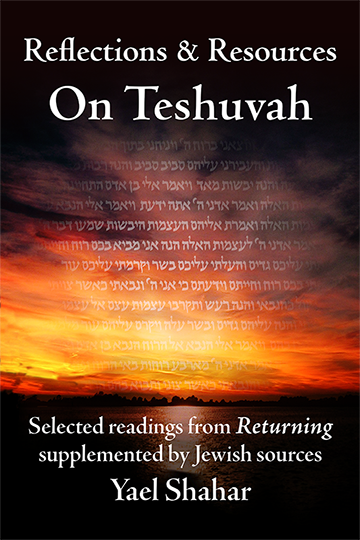 In fact, the keyword for this parasha is “blessing”, appearing in one form or another 15 times in the text. And of course, Yaakov’s prophetic blessing has come to pass: Jews bless their sons on Erev Shabbat, saying: “May you be like Ephraim and like Menashe”. The mystery is, why? Why not ask that our sons be “like Avraham, Yitzkhak, and Yaakov”? After all, we bless our daughters that they be like the four matriarchs: Sarah, Rivka, Rachel, and Leah, so why not bless our sons that they be like the patriarchs? Why specifically Ephraim and Menashe? I believe the answer lies in one of the Torah’s more subversive narratives…. Traditionally, the first-born was the inheritor of his father’s possessions and life-work. He was the one who would carry his father’s legacy forward. The position of firstborn was a given: only one son could occupy it. The Torah itself enshrines this tradition: the firstborn is the primary inheritor of family wealth. Prior to the giving of the Torah, the firstborn was also the family priest, who offered sacrifice on behalf of his family. And yet, the later institution of the priesthood as a replacement of the firstborn-as-priest is already a pointer in the direction of disinheriting the firstborn. Further, there are hints throughout the Torah that the inheritance of the firstborn has exceptions. Avel’s sacrifice is accepted; Cain’s is not, even though Avel is the younger of the two—a subtle hint that he is more worthy to “inherit” the family’s contact with God than his older brother. This is even more blatant in God’s command to Avraham that Yitzhak be his heir, against Avraham’s will. But of course, one could argue that in Avraham’s case, God explicitly commands a break with tradition, thus reinforcing the tradition itself. After all, if it were the accepted way of doing things, there would be no need for a command. As with the commandment to kill Amalek, this is a one-time exception to the accepted practice, not to be taken as the basis for future behavior, let alone as a basis for morality. But in the case of Yaakov and Esau, there is no divine command at all. Rivka is given a prophecy, which, in the way of oracles, can be read in either of two ways: “the elder will serve the younger,” or, “the elder, the younger will serve.” The actual choice of who is to inherit lies with her. For whatever reason, she concludes that Yaakov was the chosen one, against all tradition and custom. The direction of development is clear, while Avraham was commanded to choose the younger over the elder—despite social conventions—Rivka makes the choice on her own, based only on a divine hint (not command). In the case of Ya’akov’s choice of Yoseph, and of Yoseph’s own younger son, even the divine hint is absent; it is purely a human choice. 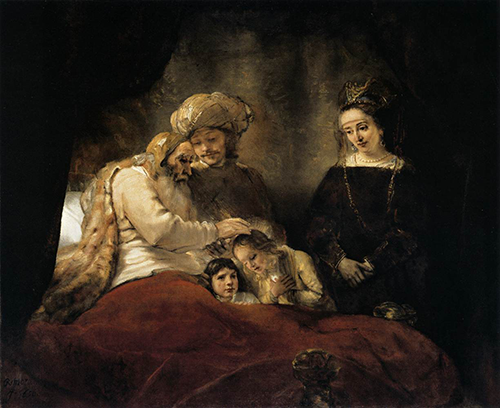 And so, while the Torah explicitly cautions against putting the younger before the elder in terms of inheritance, time and time again, the aggadic (narrative) portions of the Torah provide the opposite lesson. Yitzhak before Yishmael, Yaakov before Esau, Rahel before Leah, Yoseph before all his elder brothers, and Ephraim before Menashe. What is the meaning of this odd discord between law and example? What is the Torah trying to tell us? One lesson (as discussed more fully in an earlier essay) is that, yes, there is a rule of how we are to do things. Yes, our interactions are meant to fit a certain framework, and in the absence of pressing need, that framework is not to be lightly put aside. But sometimes a situation arises that simply doesn’t fit the framework. The eldest son is not the most suited to inherit. The most promising child is the younger. Or is female. In that case, the aggadot give us a hint: Do as I do, not as I say! You have My permission to go out of bounds, so long as you acknowledge the line as you step across it, so long as you understand that this is an exception and not the rule. But there is a further lesson in this subversive narrative—the story of Am Yisrael’s evolution from family to nation reveals a gradual demotion of castes and hierarchies. It is a fitting motif for a people made up of escaped slaves. This break with societal norms and hierarchies is a motif throughout the Book of B’reishit (Genesis). R’ Yoel Bin Nun speculates that the term “Ivri” (Hebrew) means “misfit”, or “law-breaker”. He suggests that our ancestors earned this appellation through breaking one particularly sacrosanct law of the ancient Near East: the requirement to return a run-away slave to his or her masters. R’ Bin Nun’s suggestion makes sense given much of our later legislation and national ethos. In particular, it may explain the tension between societal order written into the Torah and the stories that hold up subversive iconoclasts as those worthy of emulation. The danger, of course, is that a people that refuses to surrender escaped slaves is likely to accrue a variety of runaways and misfits over the generations, and might easily fall into a caste system of their own. The true miracle is that they do not. They learn to fight against hierarchies and castes by relegating what would have been the societal elite of the times to an easily controlled—and subordinate—priesthood. The priests are elevated, yes, but, as opposed to their position in Egypt and Sumeria, in Israelite society they are forbidden to own land, and thus cannot add material wealth to their spiritual elevation. They are limited by the very law which gives them their prestige. The priestly code is spelled out in great detail in the book of Vayikra (Leviticus); everyone can read the code for themselves and judge whether Israel’s priests are carrying out their charge properly. They are subject to checks and balances, to transparency. And so we come back to Ephraim and Menashe, the grandsons of the patriarch Yaakov and the sons of Yoseph, now a powerful governor in Egypt “second only to Pharaoh”. Ephraim and Menashe could easily have broken with their grandfather’s culture. After all, they were the sons of history’s first “assimilated Jew”! 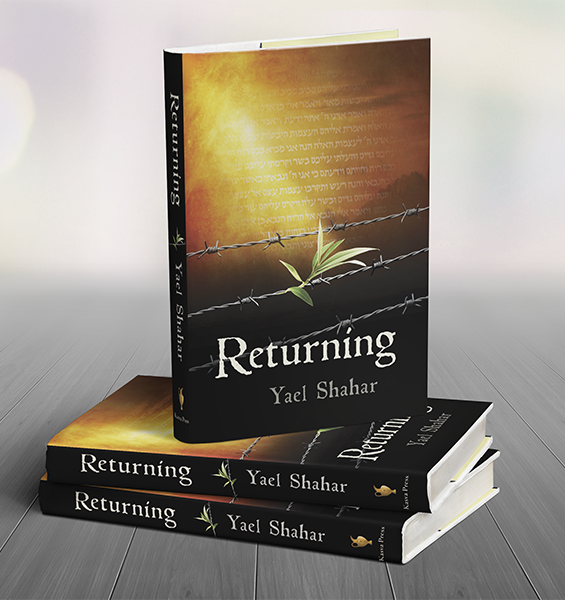 And yet, the fact that Yoseph brought them to his father to receive his blessing is the ultimate sign of reconciliation. Regardless of Yoseph’s own isolation from the family, his children would be full-fledged members of the tribe. 1. The same may hold true for mamzerut; the original law is there for a reason — it is a natural outgrowth of the notion that paternity matters. And yes, it does support a very paternalistic society. But so long as that is the type of society that we’re trying to support, such rules have their place. And yet, what if something happens that does not violate the rule in spirit, but does violate it in practice? What do we do with the exceptions. Here again, we have the aggadata to guide us.